If you're here to link up to Weekend Bloggy Reading, it's open for new links until 10 pm (ET) tonight. Please share your best post of the week with us...crafts, recipes, home decor, book reviews--all kinds of posts are welcome. 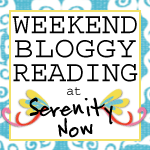 Here are a few links from Weekend Bloggy Reading that caught my eye. ~It's BOTB Day! 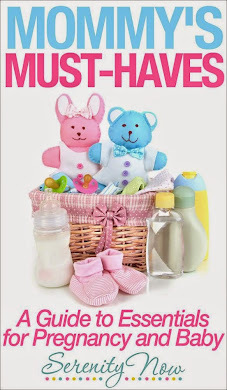 Head over to Centsational Girl for the Best of the Blogosphere column to see some of the best picks from around the web that Kate and I picked out to share! Happy Sunday thank you Amanda, so kind to include my GIANT wood tags in the round up. Surprisingly I've received so many nice comments and orders for 'merry christmas' now! Thank you, thank you. That chest of drawers is awesome! Makes me want to paint some furniture:) Thanks for including my shirts in your roundup Amanda! It was fun to make something pink and girly! Have a great Sunday! Oh my, what a nice surprise to see my Chocolate Marbled Pear Bars highlighted at Weekend Bloggy Reading this week. Thanks you so much. I always find great and diverse ideas from so many wonderful bloggers at your parties. Thank you so very much.